Wow!It looks a lot different now. Weeding the camellias was really fun, I really enjoyed it! Room 15 did you enjoy it? I love gardening and pulling out the weeds and getting dirt all over me. That looks really good room 15 I think we did a awesome job!!!!! Good Work Room 15 on weeding the Camellias. Well Done. L love gardening and pulling out the weeds and my hands were getting dirty. wow that looks really good do you think it looks good? I had so much fun weeding the camellias,it looks awesome! 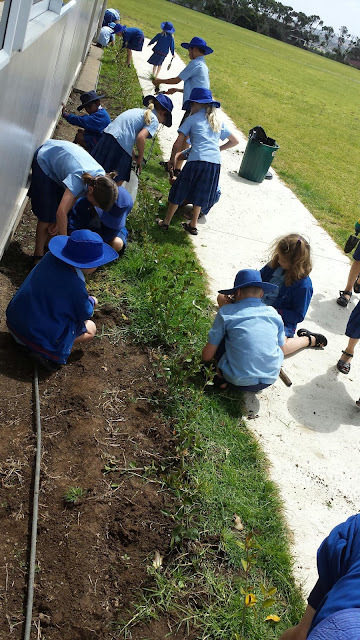 wow room 15, The camellias must look really tidy, after you took out all the weeds.Was it hard to pull out the weeds? wow i dont know how we did it.It looks amazing! It looks really good now that we cleaned it up. I think it we did an awesome job! How many weeds did we dig out? Wow!Great work room 15.I hope you guys had lots of fun working together as a team room 15.Was it fun or not? Dear Room 15, we love how you cooperate as a team. We think it looks a lot better without all the weeds, did you bring your own tools? Wow look how many weeds you have pulled out. What sort of tools did you use to take out the plants? wow that is a lot of weeds to take out. I bet that your hands will get dirty after that. It took so long to get out most of the weeds I loved it.